Every Tuesday is our day. We have a lie in with our iPads for a bit, then I'll ask him if he wants some rice bubbles and blueberries for breakfast. The answer varies depending on what minute you ask him, and what he's watching at the time. 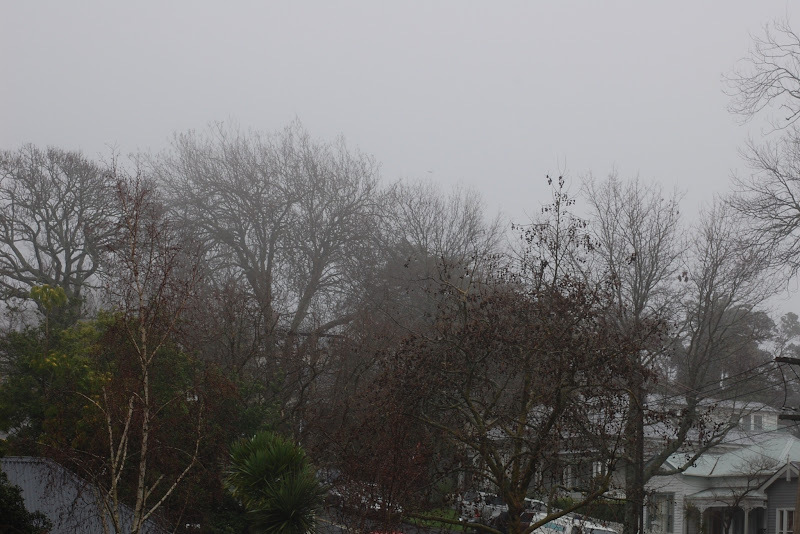 It was foggy outside; a beautiful romantic thick cloud suspended on roof tops and through trees up our street. I couldn't be bothered with the manipulation games yesterday morning, so I packed his breakfast and he had it at playgroup. It was a fun session. The play dough table was Kien's favourite this morning. It's a popular spot. He also became acquainted with trains that came out of the baby toy boxes. So long as he is having fun it doesn't matter what toys he enjoys. Being an only child, I've noticed how jealous Kien gets when I'm paying attention to someone else - adult or child. If I hold another child Kien immediately wants me to cuddle him. If I'm talking to someone Kien will vie for my attention and will have a meltdown if I don't give it. 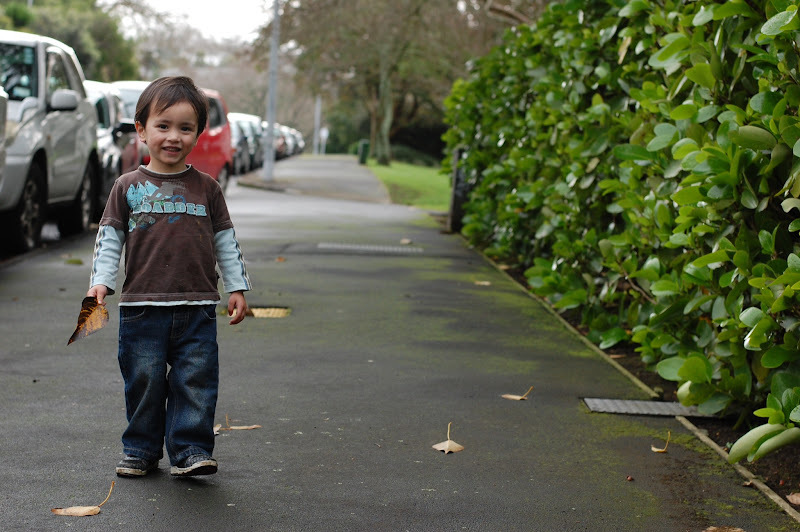 No doubt that being in his twos is already a difficult period, and I try to remind myself that it's not bad behaviour but rather him learning the world around him. The fact that sometimes he can't quite cope without a nap also has a lot to do with the tantrums between 11:30 and 15:00. 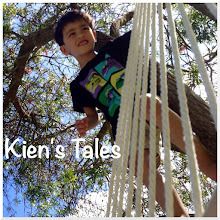 It is not only Kien that can't cope; the incessant whining noise that one small child can generate can sure push me to my limit. So what did I do to have a happy afternoon? Why, I took him for a drive, of course. 2 sleep cycles later and this is what my child looks like. We went to the park, went up and down slides, swung on swings, rode the seesaw apparatus, and had a jolly fine time in the damp. We ran home as it started to rain, then wandered leisurely when it stopped. 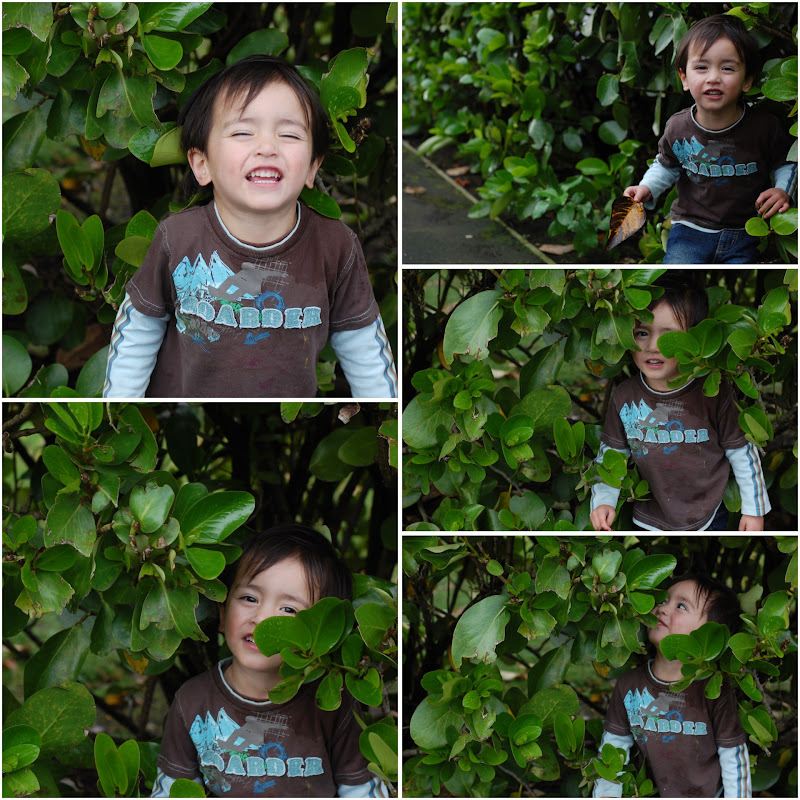 I asked Kien whether I can take a picture of him standing next to the bush. Next to was "leaves are tickling me, Mummy", "look, I'm hiding", "I'm in a tunnel", "look at me, I'm in the tree!". 10 shutter clicks later and I called it quits. Two more sleeps and then we are leaving on a jet plane to some warmth. Yay!